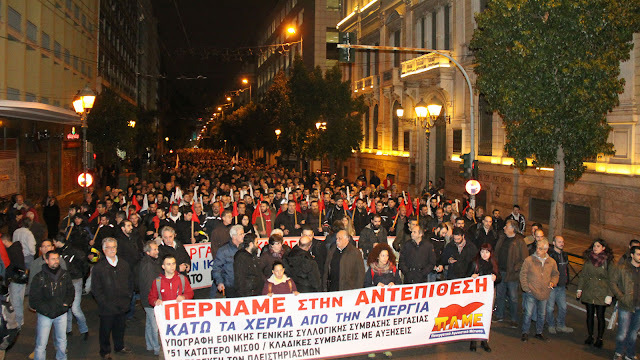 A powerful message to the coalition government of SYRIZA-ANEL as well as to the employers was sent by thousands of workers, students, pensioners and unemployed people who joined the demonstrations organised by the All-Workers Militant Front (PAME) across Greece. In Athens and other Greek cities numerous rallies took place against the new antiworkers' governmental bill which was passed today by a majority of deputies at the Parliament. The bill includes an amendment which aims to abolish the sacred right of the working people to strike. 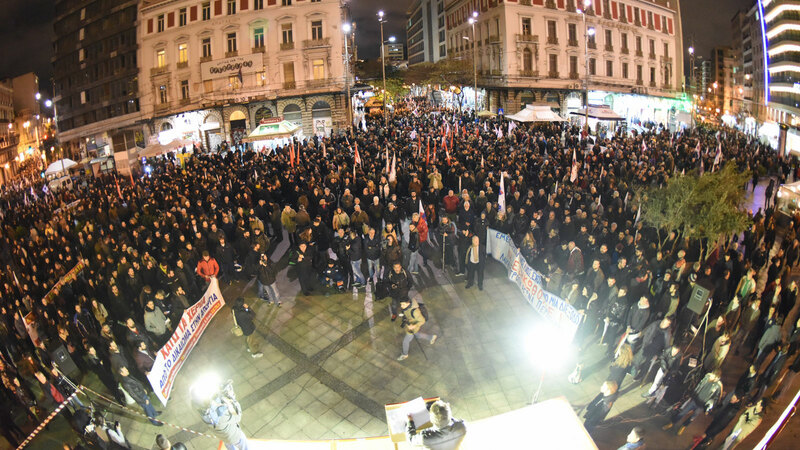 In Athens and Thessaloniki thousands of protesters marched in the streets shouting "Hands off the right of strike", condemning also the sellout pro-governmental trade-unionism of GSEE and ADEDY which continuously undermine the labor movement's rights. 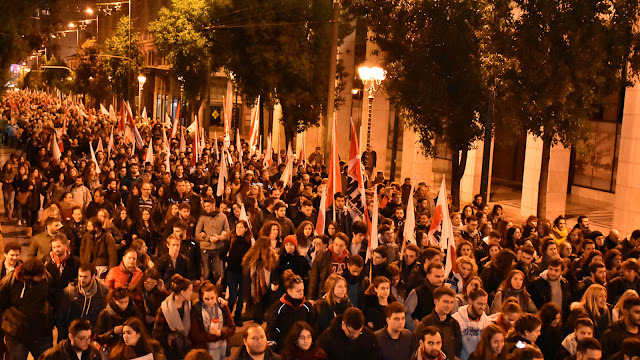 Below you can see photos from the demonstrations as they were published in 902 portal.